During one of our Christmas vacations we traveled to the Holy Land, spending Christmas Day in Bethlehem. Because we were traveling on an American passport and a Libyan visa we were restricted to only the Arab sites. Not that the Jewish governments would have minded, but that we would not have been allowed back in Libya if we had a stamp in our passports with any Jewish connections. This was just months before the Six Day War between Israel and Palestine. (Now THAT'S another story - ask Ed about how we were escorted out of the Benghazi with fear and trembling). We had to be very careful not to cross any lines. Careful too because there were armed guards and checkpoints throughout the regions we visited. In Damascus we were certain our room was bugged, so we were exceedingly careful about what we said. But I digress. 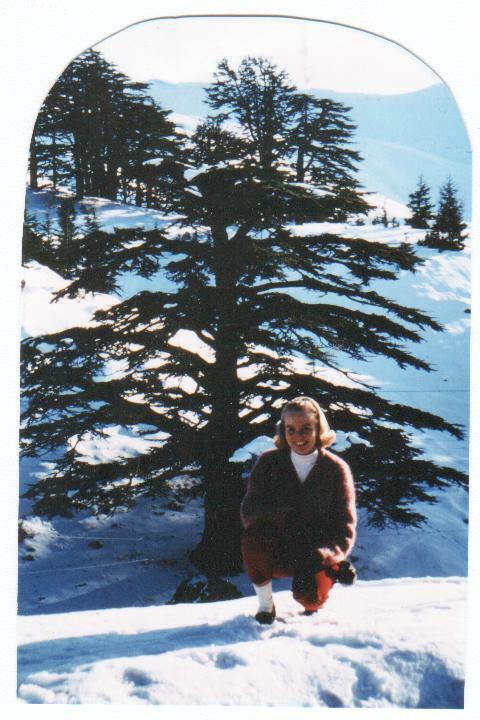 Here we visit the beautiful Cedars of Lebanon, high in the mountains along the Kadisha Gorge - magnificent, ancient trees - some of which were transported many, many miles by King Solomon to build the Temple in Jerusalem.